Header on the back cover: Are you sick of your fears holding you back, and weary of pretending that you have it all together? What's a brave state of being? Of acting? Clichés include going into military battle without showing trepidation, going to the dentist if dentists terrify you, standing up to bullies or to your overbearing boss. People often use the heart-word "courageous" to mean brave. Although heart in the Hebrew scriptures is somewhat polyvalent yet more than anything refers to a person's will, both courage and heart imply full emotional, psychological, physical, spiritual participation. So I'd say it sure is brave to put your whole life into a situation. 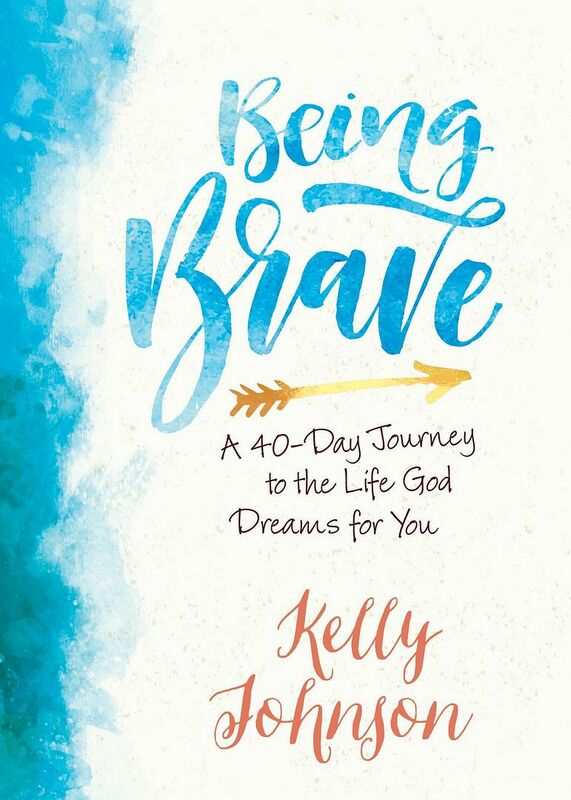 With three major sections of Power, Love, and Self-Discipline, the idea is to use Being Brave as a daily devotionally-focused guidebook over the course of a calendar month, although I read it straight through in several sittings over a couple of days. SInce it's a keeper, I'll refer to Being Brave again, but again likely not as a daily reference. Kelly Johnson includes nothing in her book I didn't already know, but how reassuring confirmation from someone else can be! Johnson particularly addresses the ongoing quandary of outward appearances that includes how (cosmetically and otherwise) we present ourselves to others and the usual human tendency to want others to see us as perfect, flawless, other than any human really is. The author reminds us of the impropriety of laying our whole entire trip and revealing everything to everyone everywhere in virtual life or in real life; I keep wondering why so many people constantly do that. Then I do my best to excuse them and not get embarrassed for them, because everyone knows how anonymous the world has become, how everyone needs to be noticed and appreciated, how fractured connections in-between humanity and between humans and nature tend to be. Many people do not have the intimacy and safety of close friends or family they can confide in and be themselves with. Being Brave is not a major theological endeavor or a typical devotional book, yet it's scripturally solid. I especially love how the writing style comes across as a conversation with Kelly, the Kelly who knows she doesn't have life all together, yet who's learned to trust God moment-to-moment. Each day opens with scripture verses and concludes with a prayer; at the end you'll find a list of three dozen scripture references related to fear (is fear the opposite of brave?) and courage (is courage synonymous with brave?) to look up on your own. Lovely cover design, too! Thanks for sharing this article. Very good work.